Embarking on a bathroom remodel near Jacksonville is the perfect opportunity to investigate eco-friendly bathroom design options . You can conserve water and energy by hiring a plumber who has experience installing energy-efficient bathroom appliances, like tankless water heaters and low-flow faucets. Here are some eco-friendly bathroom remodeling tips that you can discuss with your plumber or bathroom remodeler. You can start by focusing on your daily water use, and how you can reduce or conserve water in your bathroom. 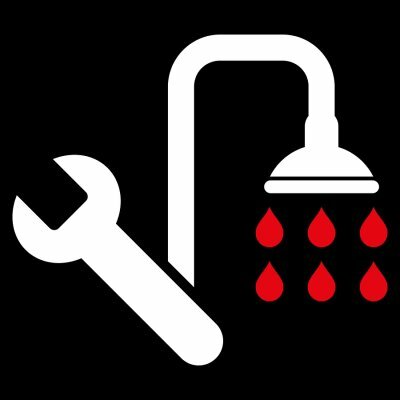 A plumber can install a low-flow showerhead and low-flow faucets in your bathroom that will use much less water than standard appliances. You can also install a low-flow or dual-flush toilet to further conserve water. In addition, a plumber can install automatic faucets on your bathroom sinks. This will discourage you from letting the water run continuously while you brush your teeth or perform other tasks. 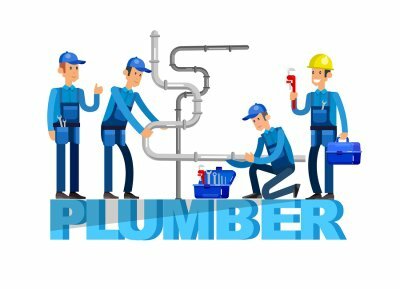 You should also contact a plumber for plumbing repairs, slab leak repairs, and water leak repairs as soon as possible to reduce the amount of water wasted. 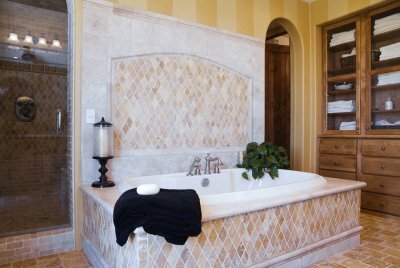 You should also commit to using green building materials throughout your bathroom remodel. Your bathroom remodeler can put you in contact with manufacturers of eco-friendly, sustainable building materials for your bathroom remodel. Ceramic tile and natural stone are great choices for walls and flooring, as they are incredibly durable and won’t need to be replaced often, and are also low-maintenance, requiring little cleaning. You can also use recycled and recyclable materials for flooring, countertops, and cabinetry. Finally, you can use LED light bulbs to conserve energy. Install an energy-efficient water heater. Most families use hot water in their bathrooms every day. Traditional water heaters store hot water in a tank and heat it continuously, which can result in heat loss and water evaporation. Tankless water heaters provide instant hot water only when needed, rather than storing it. These on-demand water heaters are incredibly energy-efficient, and can reduce your water usage as well as lower your gas or electric bills. Have you been thinking about installing a tankless water heater in your home? There’s no better time to do it than right now. A plumber serving Jacksonville can take out your old standard water heater that is equipped with a large storage tank and replace it with a new energy-efficient tankless water heater that will save you money in the long run and deliver hot water to your home on demand. Check out how to make the switch to a tankless water heater below. When you install a tankless water heater in your home, you will need to do more than just swap out your old water heater. You will need to prepare your entire plumbing system for your new water heater. In some cases, a plumber may decide that it would be more beneficial for you to install smaller tankless water heaters in each bathroom in your home as opposed to simply installing one main whole home tankless water heater. It all depends on how your individual home is set up. Once you have had a plumber take a look at your plumbing system, you should speak with him or her about which tankless water heater would be best for your home. Shop around and look at lots of different tankless water heaters until you find the one that works for your specific situation. 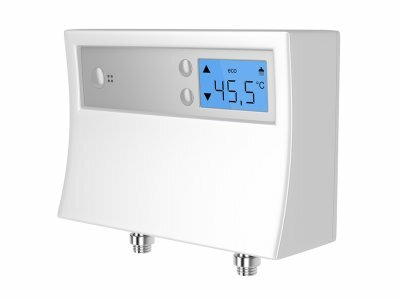 It’s important to remember that, while most tankless water heaters will cost more than standard water heaters, your investment will pay off in the end in the form of dramatically lower energy bills. You should never attempt to install a tankless water heater on your own. If you don’t install it properly, it could pose a threat to both you and your home. Use a licensed plumber to install your new water heater, and you will typically be able to start using it within a matter of just hours.